Habitat - Flatwoods, sandhills, sandy woods. 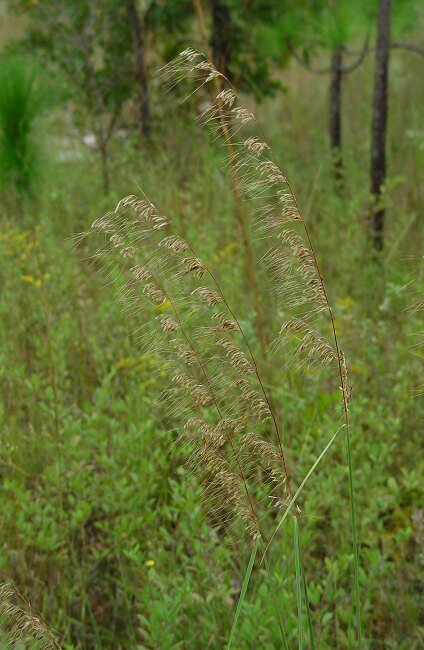 Other information - This attractive species can be found mainly in the southern-most counties of Alabama. 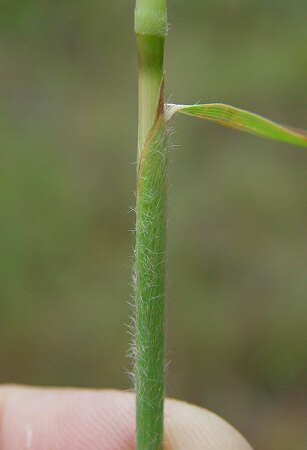 The plant is easy to identify becasue of its tall culms and secund spikelets. 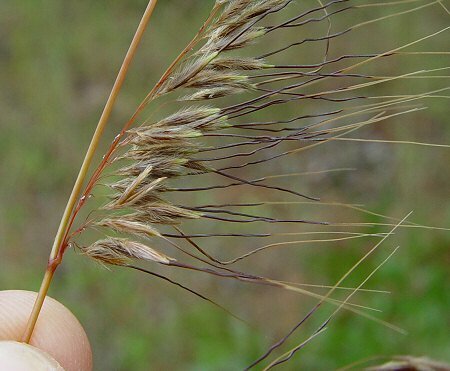 The awns of this species are long, brownish-purple, and twisted at the base. 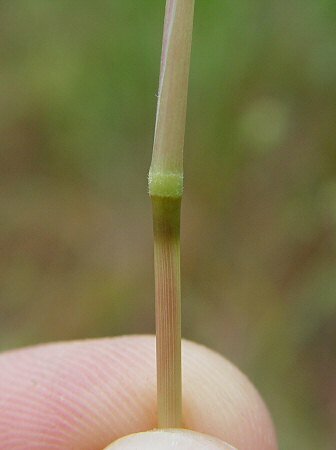 The genus name Sorghastrum is given becasue of the plants resemblance to the genus Sorgum (although the two really don't look alike). 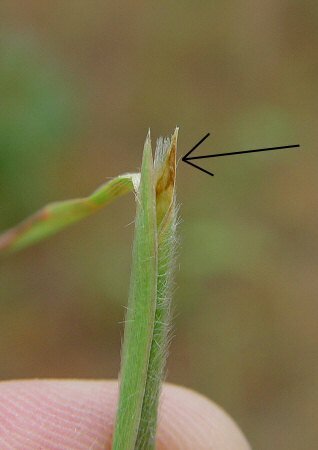 The species epithet derives from the Latin "secund(i)" meaning "second, next, one-sided, turned" referring to all the spikelets being positioned on side of the rachis.